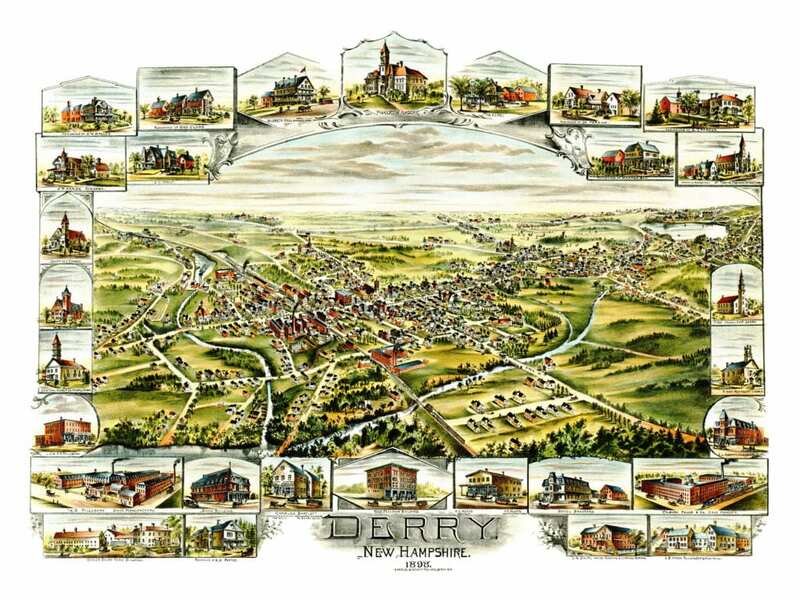 This old map of Derry, New Hampshire was published in 1898 by Charles Bartlett, a prominent 19th century citizen of Derry. 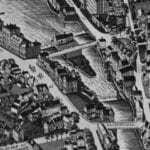 The map features a picture of Bartlett’s building in town which contained a druggist & apothecary, post office, printing and publishing house and The Derry News. 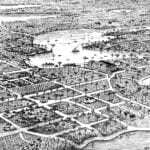 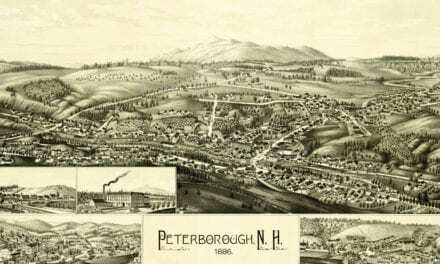 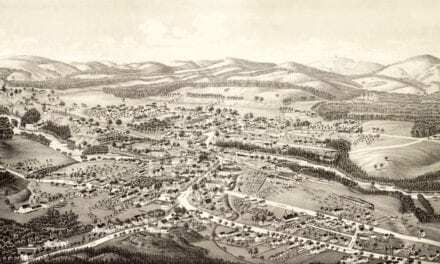 The map shows a bird’s eye view of Derry, NH as it looked at the end of the 19th century. 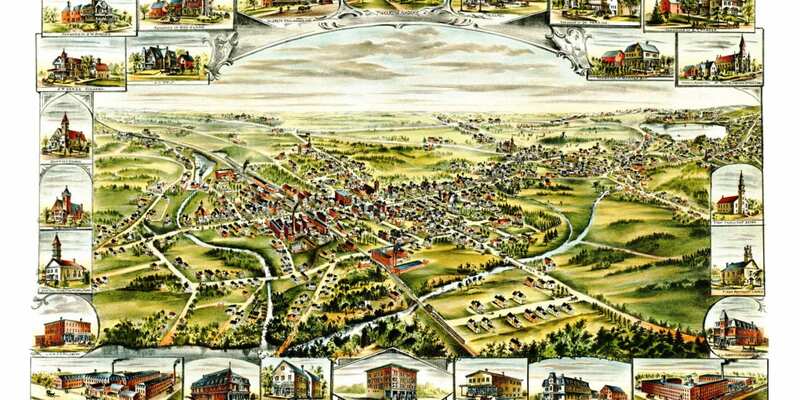 Landmarks on the map include Hood’s Dairy Farm, Hotel Bradford, the Odd Fellows Building, Pinkerton Academy, Hildreth Hall Boarding House, Baptist Church, Congregational Church, and more. 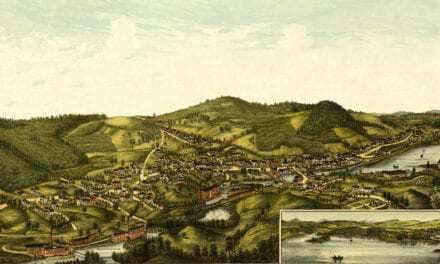 Click here to see Derry, New Hampshire in 1898. 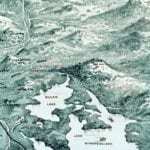 Reproductions of the restored map available here. 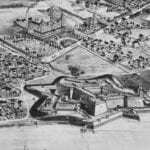 This old map of Derry has been lovingly restored by the team at KNOWOL. 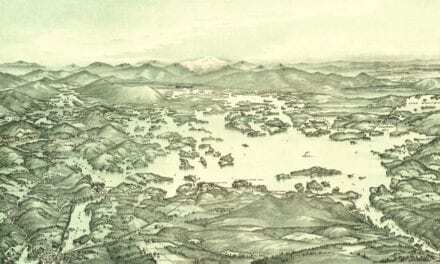 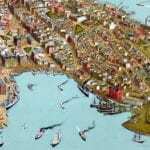 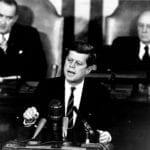 Reproductions of the restored map are available on museum quality, archival paper to ensure that this piece of New Hampshire history can be passed on to the next generation. 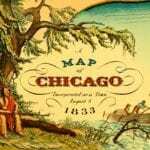 Click here to get a copy of the map.